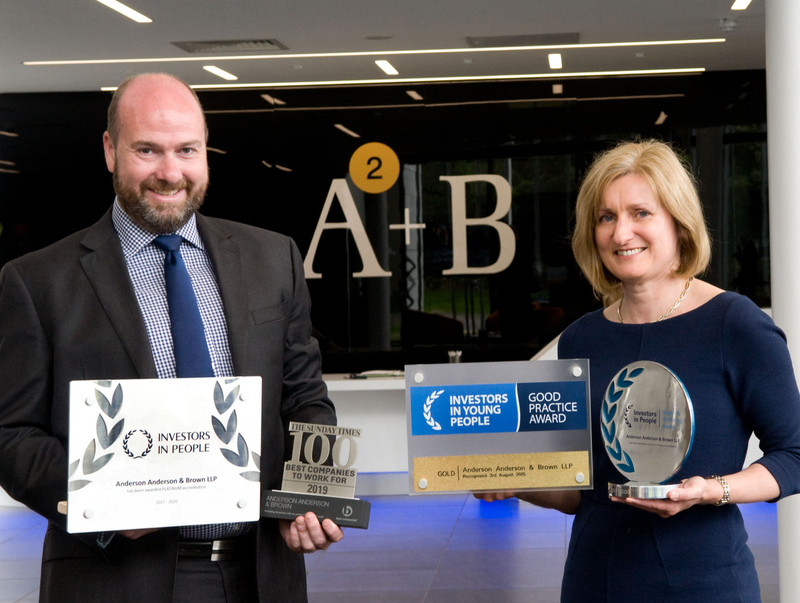 Anderson Anderson & Brown LLP (AAB), one of the UK’s leading firms of Chartered Accountants & Business Advisors, has now this year been a Best Company for 12 consecutive years and has also secured a place on ‘The Sunday Times 100 Best Companies To Work For List’ for 4 years. AAB are placed at number 37 on the Top 100 list, making 2019 the firm’s third year in the top 40 Best Companies To Work For. These achievements are a result of AAB employee’s responses to questions within the Best Companies engagement survey, which examines the ins-and-outs of company life and reveals how employees really perceive their work environment. AAB had an incredible response rate to the survey, which could be a reflection of the numerous ways in which the firm engages with its employees, as well as the exciting growth and development the firm has experienced over the last twelve months. The firm’s dedicated ‘Social Club’ organise a variety of different fun and social events for staff to get involved with, including some new events for 2018 such as rounders, pumpkin carving and ‘The Hungry Games’. The Hungry Games took place over the summer months where AAB teamed up and competed against some of their neighbours at their Aberdeen HQ in Prime four Business Park through games such as basketball, welling ‘wanging’, a quiz and a hotdog eating competition. The firm’s charity, the Anderson Anderson & Brown Charitable Initiative (AABi) hit a huge milestone during 2018 when it reached an incredible total of £100,000 of grant funding donated to 57 charities in addition to donating over 3,300 volunteer hours. The firm also experienced a significant amount of growth during 2018 with their ‘official’ arrival in Edinburgh and the move to a new office in Lochrin Square, their London presence continuing to strengthen as well as growth across some key sectors including food and drink, rural and E&P to name a few. AAB is an incredibly ambitious firm and this growth presents a significant volume of opportunities for the AAB team through working with new clients resulting in new and varied projects as well as the opportunity to work in other places across the globe. Internally, AAB has introduced a ‘Firm of the Future’ project aimed at delivering continuous improvement across the firm so that they are well placed to embrace the challenges and opportunities associated with an ever-changing marketplace, and indeed a changing profession. In addition to all of the above AAB continues to invest heavily in the training and development of its people, and 2018 saw their highest intake of trainees to date with 40 people joining their various different programmes. Graeme Allan, Managing Partner at AAB said “We are absolutely delighted to be recognised as a top company to work for once again. The award status is great for the firm, but ultimately, knowing our employees feel driven, stimulated and empowered to get the best out of themselves is the real achievement.